DinoCity, originally released in Japan as Dinowars Kyōryū Ōkoku e no Daibōken (ダイナウォーズ 恐竜王国への大冒険?, "Dinowars: Adventures in the Dinosaur Kingdom"), is a platform video game developed and published by Irem Corporation for the Super Nintendo Entertainment System.The game is loosely based on the 1991 television American film Adventures in Dinosaur City by Smart Egg Pictures, and borrows many of the film's characters, settings, and basic plot while providing its own unique art direction and style. Initially released in July 1992 for Japanese audiences, the game was later made available in North America the following September. The game centers on Timmy and his friend Jamie, two young children who are accidentally transported to a world resembling prehistoric Earth populated by anthropomorphic dinosaurs. While a device which will allow them to return home exists in this environment, a critical component has been stolen by Mr. Big, leader of a gang of Neanderthals known as The Rockeys, leaving the player to guide Timmy or Jamie to his castle to retrieve it. They are assisted by Rex, a Tyrannosaurus, and Tops, a Protoceratops, each with their own play-styles. Disney's Pinocchio is a platform puzzle adventure game from Virgin Interactive. 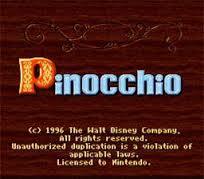 It was released in 1996 for the Game Boy, Super NES, and Sega Genesis and is based on Walt Disney's animated feature film Pinocchio, originally released in 1940. 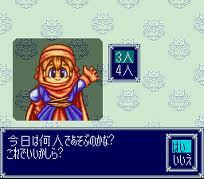 DoReMi Fantasy: Milon no DokiDoki Daibouken (ドレミファンタジー ミロンのドキドキ大冒険 "DoReMi Fantasy: Milon's Heart-Pounding Great Adventure") is a 1996 game released only in Japan for the Super Famicom by Hudson Soft. 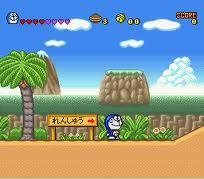 The game is a sequel to the 1988 NES game Milon's Secret Castle.It was re-released for the Wii's Virtual Console at a cost of 900 Wii Points, available in North America on March 10, 2008 under the "Import" category, and in Europe as part of the 3rd Hanabi Festival on September 5, 2008. This version is virtually identical to the original version and was not translated. A Translated version of DoReMi Fantasy: Milon's DokiDoki Adventure (ドレミファンタジー ミロンのドキドキ大冒険 "DoReMi Fantasy: Milon no DokiDoki Daibouken"?) 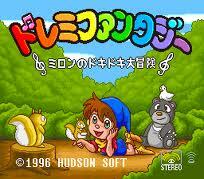 is a 1996 game released only in Japan for the Super Famicom by Hudson Soft. The game is a sequel to the 1988 NES game, Milon's Secret Castle.It was re-released for the Wii's Virtual Console in North America on March 10, 2008, under the "Import" category, and in Europe as part of the 3rd Hanabi Festival on September 5, 2008. This version is virtually identical to the original version, and was not translated. 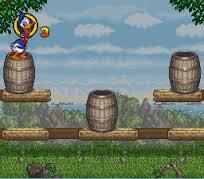 Donald in Maui Mallard, known as Maui Mallard in Cold Shadow in North America, is a platforming video game developed and published by Disney Interactive. 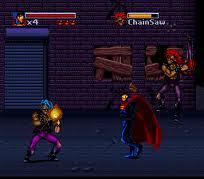 The game was released in Brazil in 1995 and in Europe on December 8, 1995, for the Sega Mega Drive/Genesis. It was also ported by Eurocom Entertainment Software to the SNES and released in North America in November 1996, in Europe on November 28, 1996, and in Japan on December 20, 1996. A Microsoft Windows port followed two years later and was released in North America on September 30, 1996. It was ported one last time to the Game Boy in North America in August 1998. 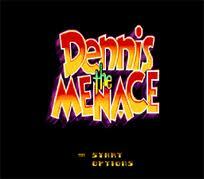 The game was developed by Disney Interactive for the Sega Mega Dive/Genesis and Microsoft Windows, by Eurocom Entertainment Software for the SNES, and by Bonsai Entertainment Corp. for the Game Boy. 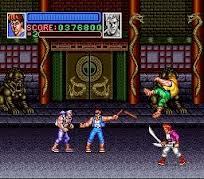 Despite being the original, the Sega Mega Drive/Genesis version was only released in Brazil and Europe and never saw a North American version due to Nintendo securing an exclusive publishing contract for the game; however the Sega Genesis version did eventually see an American release, but only as a Sega Channel exclusive. 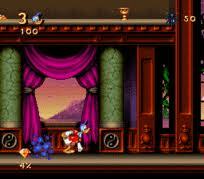 The game was one of the first games to be released under the Disney Interactive Studios label. The game stars Donald Duck under the identity of an anthropomorphic duck detective named Maui Mallard, who adopts the name "Cold Shadow" when he dresses up in ninja garb. For the North American versions of the game, all Donald Duck references are omitted for unknown reasons and the main character is only known as Maui Mallard. Though the end of the game informed the player to look forward to Maui's next adventure, there have been no other appearances of Maui Mallard or Cold Shadow in any medium. Donald Duck no Mahō no Bōshi (ドナルドダックの魔法のぼうし Donarudo Dakku no Mahō no Bōshi?, "Donald Duck in the Magic Cap") is a video game for the Super Famicom game console starring Donald Duck. 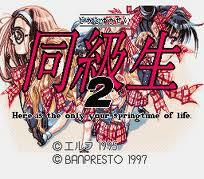 It was released by Epoch on August 11, 1995 in Japan only. Doom (typeset as DOOM in official documents) is a 1993 science fiction horror-themed first-person shooter video game by id Software. It is considered one of the most significant and influential titles in the video game industry, for having ushered in the popularity of the first-person shooter genre. 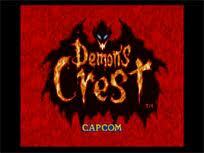 The original game is divided into three nine-level episodes and distributed via shareware and mail order. 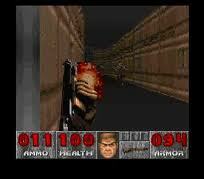 The Ultimate Doom, an updated release of the original game featuring a fourth episode, was released in 1995 and sold at retail.In Doom, players assume the role of an unnamed space marine, who became popularly known as "Doomguy", fighting his way through hordes of invading demons from Hell. With one third of the game, nine levels, distributed as shareware, Doom was played by an estimated 10 million people within two years of its release, popularizing the mode of gameplay and spawning a gaming subculture. In addition to popularizing the FPS genre, it pioneered immersive 3D graphics, networked multiplayer gaming, and support for customized additions and modifications via packaged files in a data archive known as "WADs". 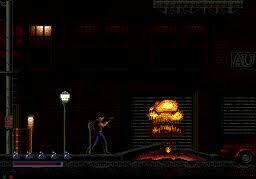 As a sign of its effect on the industry, first-person shooter games from the genre's boom in the 1990s, helped in no small part by the game's release, became known simply as "Doom clones". Its graphic violence, as well as satanic imagery, made Doom the subject of controversy.The Doom franchise was later continued with the follow-up Doom II: Hell on Earth (1994) and numerous mission packs, including Master Levels for Doom II (1995), and Final Doom (1996). 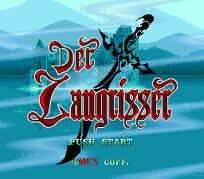 Originally released for PC DOS, the games have later been ported to numerous other platforms. 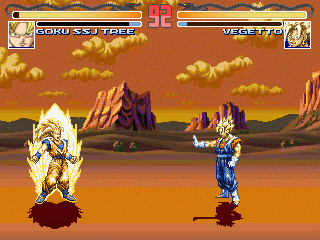 Once the game's source code was released in 1997, it spawned even more adaptations, as fans further ported the code to countless devices. The series started to lose mainstream appeal as the technology of the Doom game engine was surpassed in the mid-1990s, although fans have continued making WADs, speedruns, and modifications to the original. The franchise again received popular attention in 2004 with the release of Doom 3, a retelling of the original game using new technology, and an associated 2005 Doom motion picture. Doom 4 was announced as in production in 2008 and was later retitled simply as Doom. Double Dragon (ダブルドラゴン?) is a beat 'em up video game series initially developed by Technōs Japan, who also developed the Kunio-kun series (Renegade, Super Dodge Ball and River City Ransom). The series stars twin brothers, Billy and Jimmy Lee, who are followers of a fictional martial art called Sōsetsuken (双截拳), as they fight against various adversaries and rivals. Due to the popularity of the game series, an animated series and live-action film adaptation have also been produced.